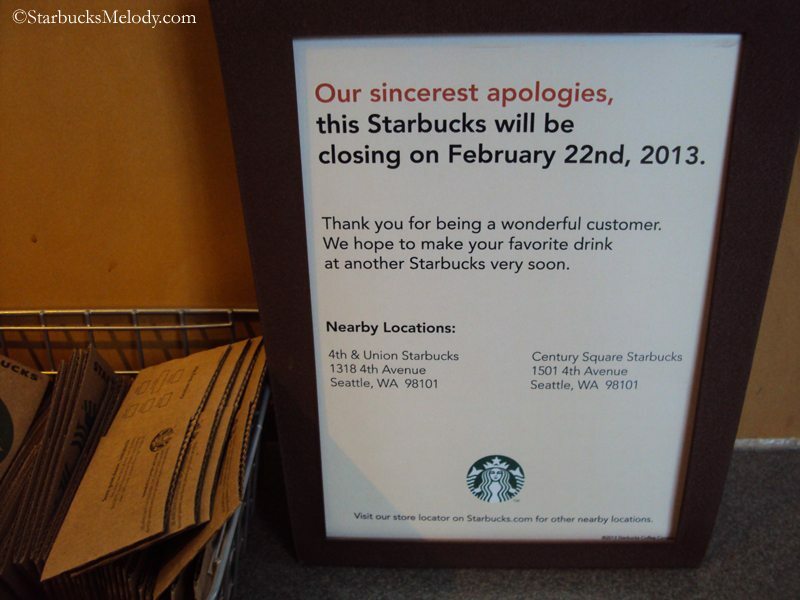 Goodbye Puget Sound Plaza Starbucks. 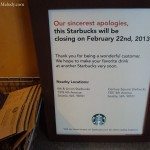 It’s always a little sad to me when Starbucks closes one of their stores. It’s been a long while since Starbucks closed a downtown Seattle store. 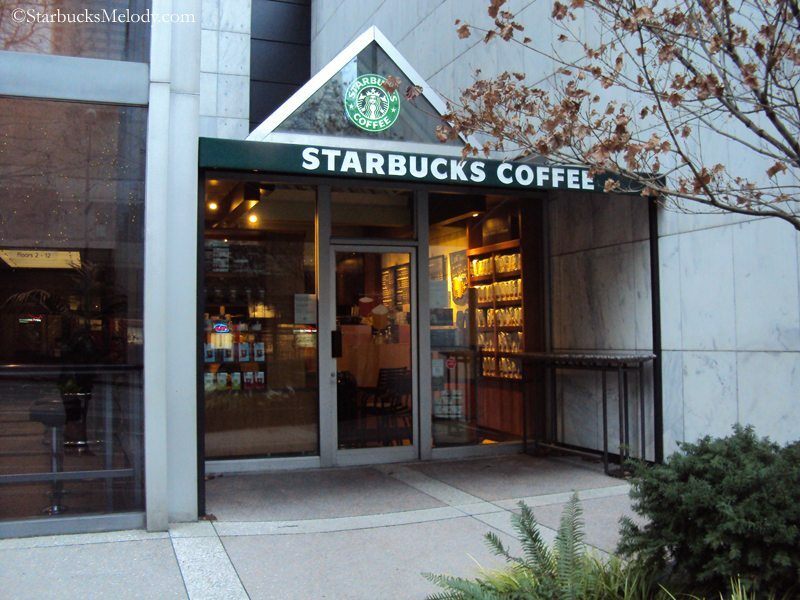 The last one was the Smith Tower Starbucks. 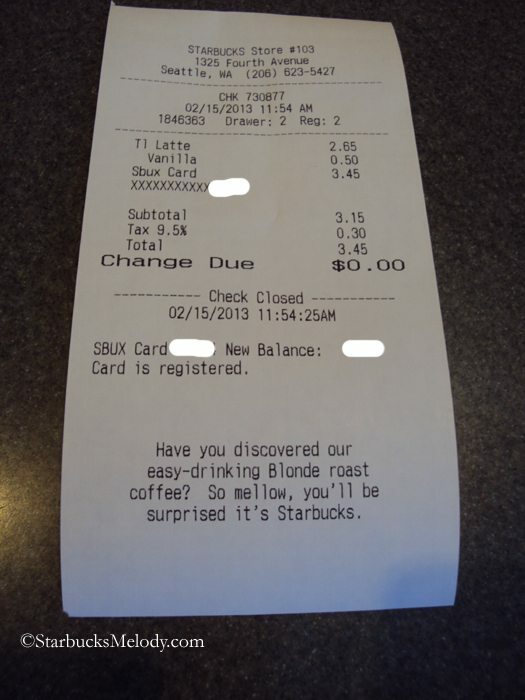 First off, I want to say that I am really glad that Starbucks found a place for every single partner. Nobody is losing their positions because of this store closure. 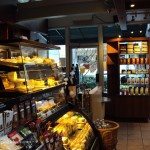 Lori, the store manager of the Puget Sound Plaza Starbucks, will be taking over the Fifth and Columbia Starbucks location. Secretly, I am little happy she is going to that store – I do visit that store and it will be nice to see her there. 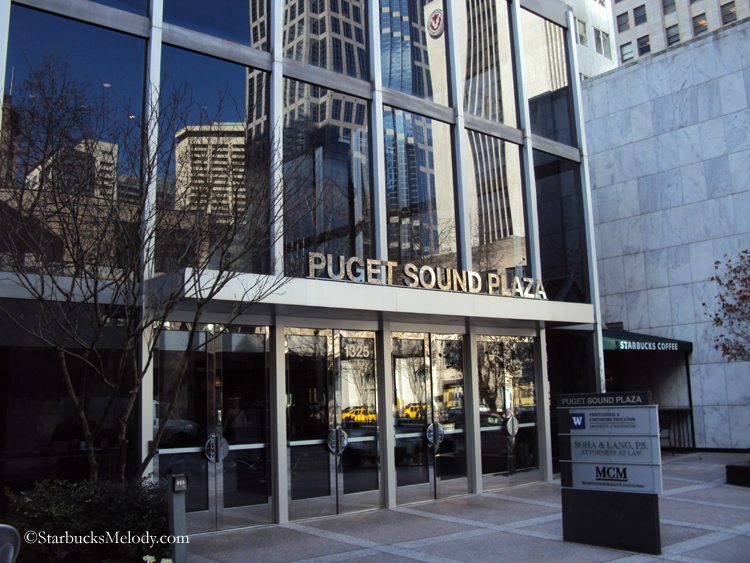 The Puget Sound Plaza Starbucks first opened on June 1, 1987. Actually, given that it’s numbered as a 100-series store, that would suggest it was opened as an Il Giornale during that short time before Howard Schultz bought Starbucks. 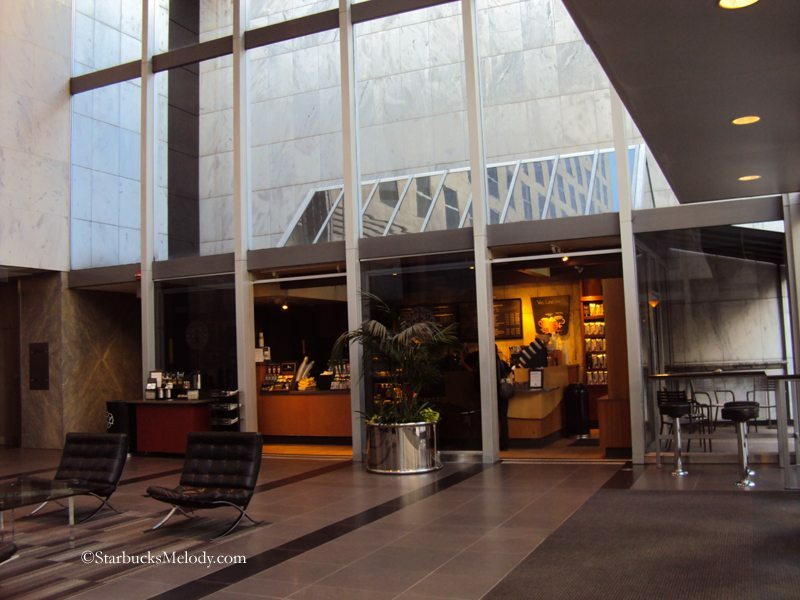 I mentioned a little bit of this very old Starbucks history in my old article on the Columbia Tower Starbucks (Store #101). It’s pretty likely that it opened as Il Giornale on June 1, 1987, and then converted to a Starbucks on or about August 15, 1987. That’s a pretty interesting store history! The store will close permanently on February 22, 2013. It closes on a high note – with a whole team of great partners moving to other downtown Seattle stores. 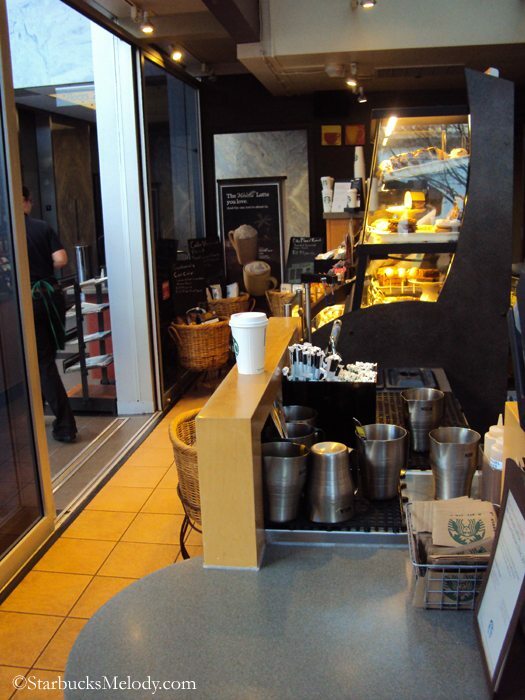 And, customers only have to walk across the street to Fourth and Union Starbucks to get to a close by Starbucks store. If you’re in the Seattle area, I hope you’ll stop by and wish all the partners goodbye to their store, and welcome them to their new stores! 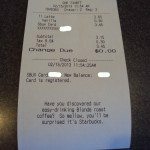 Featured Clover – Reserve Starbucks: Right off I-5 in Sacramento! Melody that is a shame that such an old store is closing but quite nice that SB has relocated partners to other stores. Are they going to use this space for another SB- like a Tazo or Evolution Fresh? @purple1 – your question is a good suggestion, however do not forget Teavanna too. Depending on the traffic and demographic in the neighborhood any of those could be good complimentary businesses. I wonder if this store is closing because of the upcoming company-wide retrofit to the back rooms to hold a freezer for the La Boulange integration. The portal suggests that if a store’s back room isn’t big enough to hold the new freezers for the pastries, that an outdoor (McDonald’s-type) freezer would be needed and if that isn’t possible, then the store could be “relocated” to a space more accommodating. Who knows? 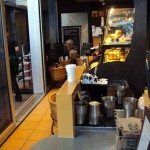 @Coffeegeek75 – That makes a lot of sense as to why it’s closing. I know that the store had been doing pretty well, but the lease was up and Starbucks pretty much said, “no” to renewing it. Your reasoning why is a really good reason why it’s closing. 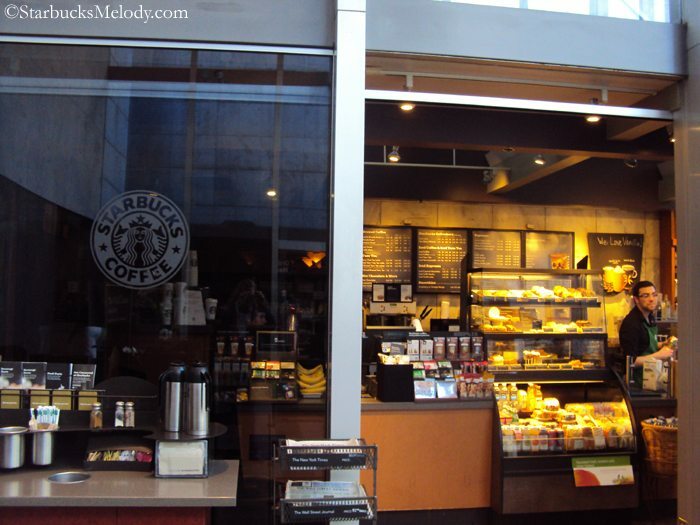 And, there is literally a very large and nice Starbucks across the street from it! @Purple75 – The odds that this space will turn into an Evolution Fresh or something like that is small. The space is super tiny. It’s in a building that is a Monday through Friday office building. 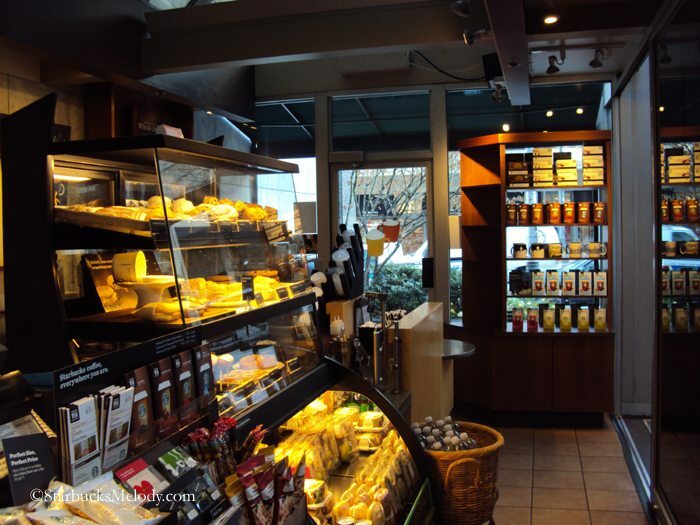 And Starbucks has all kinds of retail space opportunities in downtown Seattle. 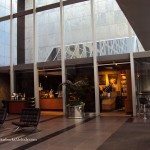 They just closed the SBC at 4th and Pike – A nice large coffeehouse. And just generally speaking, there is a surprising amount of retail space open in Seattle. I’m sure in this case, the building managers will just have to try to lease it to who ever they can – and it’s such an awkward tiny spicy that I bet it will be empty for a while. 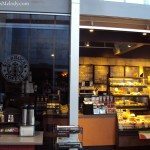 @CoffeeGeek75 – By the way, I have heard May as the expected time frame for the La Boulange launch of pastries, but I don’t know if that is Seattle only launching them in May, or is that nation-wide?? Do you happen to know?? I’m in the Northeast and we’re expecting a test run of chocolate croissants around July. The SMs are getting emails telling them when to expect people from facilities to come in and do measurements, take pictures, etc, which should be in the Spring. The most recent word out here is that we’ll all be refitted by the late Fall. @Coffeegeek75 – That helps thank you! I have heard several people say, ‘La Boulange is coming in May’ but that just must mean that Seattle launches those pastries in May. 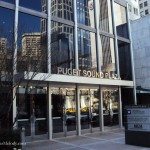 Apparently, by May, all of downtown Seattle will have ALL La Boulange food. It’s pretty exciting! Our pastry case has been pretty boring for the last few years! Another hint of the La Boulange influence is the muffin we’re introducing when Tribute launches in 2 weeks. It’s a return/revamp of the old Morning Sunrise Muffin with carrots, raisins and spices… But it isn’t going to be frozen/cooked on site. I guess something had to replace the Apple Bran Muffin. Oh that sounds like a good muffin! I miss the old Apple Bran one.